The Russian leadership endorses the soonest possible resolution of the conflict in Syria. This settlement of the conflict and crisis in Syria should happen on the basis of the Geneva Communique that has been adopted by a “consensus” at the ministerial meeting of the so-called “Action Group for Syria” in Geneva on June 30, according to the Russian president’s special representative for the Middle East and Deputy Foreign Minister Mikhail Bogdanov. The Russian Deputy Foreign Minister Mikhail Bogdanov made this statement after a meeting with the Syrian ambassador to Russia, Riyad Haddad. The meeting between the Russian Deputy Foreign Minister Mikhail Bogdanov and the Syrian ambassador to Russia, which was initiated by the Syrian ambassador, has taken place in the Russian capital Moscow on Wednesday. Of course, such a settlement is not within easy reach if the Western governments and the Gulf States such as Saudi Arabia and Qatar continue to support the armed militants and Islamists in Syria with weapons, equipment and money. Furthermore, a peaceful solution cannot be reached if e.g. Saudi Arabia still sends prisoners and other religious fanatics to Syria in order to continue the struggle against the Syrian government. 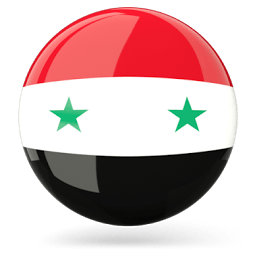 In addition, if the Western governments stick with their non-democratic stances and policies and are further on subordinated to American wishes, a peaceful solution for and in Syria seems like a naive dream. Meanwhile, the leader of the Turkish Democratic Party, Namik Kemal Zeybek, said that about 10,000 Taliban militants infiltrate into Syria over the Turkish-Syrian border. Namik Kemal Zeybek confirmed it again that some camps on Turkish soil near the border to Syria are used by armed militias and religious fanatics for their struggle against the Syrian leadership. The leader of the Turkish Democratic Party and Turkish lawmaker, Namik Kemal Zeybek, said that these Taliban militants have been using one of the camps near the Turkish-Syrian border in order to infiltrate into Syria and to destabilize the country. Namik Kemal Zeybek made it clear in his statement that these probably Western-backed Taliban militants were using a so-called refugee camp in Hatay (Turkish province near the border with Syria) as their base for the fighting against the Syrian governments. He also said in his statement that these armed militants constantly infiltrate into Syria in order to attack specific targets on Syrian soil and then return to the camp on Turkish territory, which is called a “refugee camp”. This is no surprise because the border of Turkey is widely believed to be used to transfer foreign militants, Islamists and other strangers as well as weapons into Syria; and it is also no surprise that a so-called “refugee camp” is used as the base of such radical fanatics and fighters. It is no secret anymore that the Turkish leadership under the Ottoman-madmen Erdogan supports these militias, while the majority of the Turkish people oppose this. Already in July this year, the Turkish lawmaker Refik Er-Yilmaz was convinced that many agents from the CIA (Central Intelligence Agency) and Mossad (Institute for Intelligence and Special Operations, Israeli intelligence service) were active in the same Turkish province of Hatay. Furthermore, the Turkish lawmaker Refik Er-Yilmaz also said that these foreign spies carry various types of identification. It seems comprehensible that these CIA and Mossad agents are instructors for the armed militias in Turkish “refugee camps” and that they also managed and probably still manage the flow of weapons and other needed goods for the fight against the Syrian government. Thus, it is already a secret war against Syria.